Aspirinox Alloys Inc is a leading Inconel 600 Pipes Manufacturer. The Inconel is a nickel-chromium-based alloy material. It is resistant to oxidation and corrosion and can undergo extreme pressure and heat. 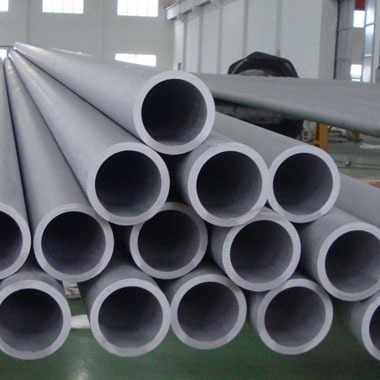 The Inconel pipes are used for gas turbine combustors, as well as turbocharger rotors and seals, electric submersible well pump motor shafts, high-temperature fasteners, chemical processing and pressure vessels, heat exchanger tubing, steam generators and core components in nuclear-pressurized water reactors. Aspirinox Alloys Inc is quality Inconel alloy 600 pipes suppliers. We can cater to your industry needs with our Inconel 600 seamless pipes and Inconel 600 welded pipes in different shapes and sizes. We also offer Inconel 600 ERW pipes which are nonmagnetic and possess high strength and can be worked at extreme hot or cold temperatures. Our Inconel 600 EFW pipes which are used in chemical and food processing industries are also available in different sizes and shapes or can be customized as per your requirements. We at Aspirinox Alloys Inc stock a large number of Inconel 600 Round Pipes, Inconel 600 Oval Pipes, Inconel 600 Hollow Pipes and Inconel 600 Rectangular Pipes. All our products are manufactured under close supervision and monitoring. Contact us today, we assure you of the quality of our products and can guarantee competitive rates. Specifications for Inconel 600 Pipes. If any specification is not mentioned here, please use the contact button for quick quote. Request the latest 600 Inconel Pipes List. Please click on the request a quote button or click here to request the updated price list and ready stock information along with your requirement. Aspirinox Alloys INC maintains a stock of all standard items and can export them at best price for 600 Inconel Pipes.